We are local Nashville artisans creating beautiful handmade jewelry, fairy gardens, and geometric crystal shelves. We also hand select crystals, minerals, fossils, unique plants, metaphysical supplies and more from around the world. Come see us at the Expo! Custom wire-wrapped gemstones. Russ' unique style is made with one-of-a-kind gemstones, sterling silver or 14K gold filled wire. Josephine carries “Eternity Circles”, chakra, crystal or gemstone jewelry. Animal totems, chakra stones, gemstone beads, packages of gemstones fossils and minerals. Leather or satin cords, sculptured old jade, wearable art of old jade will also be found. Always look for the unexpected at our booth. Located in Mt. Juliet, TN, we cater to all Spiritual paths. Our store offers a loving atmosphere as you browse the wide variety of products including: crystals, rocks, candles, incense, oils, herbs, tapestries, statues, jewelry, books and more. We offer Reiki, readings and classes. Come see us and enjoy the expo! We are a handcrafting duo that specializes in silver, copper and gold wire wrapped jewelry using a variety of stones! We also have leatherwork, walking staffs, steel drums and other gifts. Readings for your soul. Reliable answers from a higher source for 25 years. 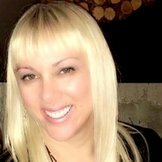 Gina is a gifted intuitive reader with 25 years experience. She is a clairvoyant, channeler, pet psychic, aura reader and medium. Gina does not use any cards as she hears directly from the angels; including: aura, medium, and pet psychics. ​Carole will help you activate your spiritual development and to find your inner harmony and peace. Experience this transformational healing work for yourself and begin your journey. Offering classes. Suzie has been offering stellar readings to clients for over three decades, giving deep, honest insight and focus to help her clients uncover their greatest potential. A well-established Astrologer and metaphysical expert, she infuses a broad spectrum of spiritual guidance to provide you with the tools you need to take charge of your life and prosper in all you do. With multiple certifications and years of training and study in Tarot, Astrology and Mediumship, Reiki and Life Coaching and years in Human Resources, she is able to empower, educate and help you uncover your abilities and potential with a high level of professionalism, knowledge and talent. Suzie is regular guest on the Today in Nashville show, writes Astrology columns and video blogs for various publications including Brides Magazine, Cosmopolitan, Bustle and Elle, hosts her own radio show and is the on-air Astrologer on radio shows. Her beautifully ornate, full size Gypsy Wagon is a big hit at fairs, festivals and corporate events around town. Healing Therapies is an earth based hypnosis for healing. Tap into the power of your subconscious mind to heal yourself; led by Dawn Richey. Crystals and minerals from around the world. These are handpicked for your personalized and planetary transformation. Wellness, pharmaceutical grade 99.9% CBD Oil. Local artisian of all-natural shea butter soap, pure soy candles and sundries. No synthetic fragrances or colors. No synthetic anything! Unique hand made jewelry and energy tools. Massage wands, meditation and relaxation music. We are also offering readings and Chakra clearing. Hand crafted Reiki Master charged Orgonite. Custom designs that are beautiful for home or office. Excellent gifts for loved ones! Something for everyone. ​It's all about the frequency. Highest energy minerals and crystals and mineral specimens from all over the world! 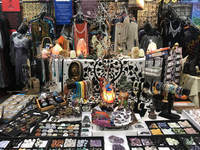 Tania Smith is "The Crystal Gypsy" and travels the world to find beautiful old amulets, crystals and stones which are hand picked for their energy, specializing in old pieces from Tibet. All one-of-a-kind Crystal Gypsy Designs are created with the intention to inspire healing and happiness within the wearer and are energized with Ancient Tibetan Reiki making each piece a sacred talisman to bring you peace, joy and love. Born in Tasmania Australia, now living in the U.S., Tania is an internationally known musician / healer and jewelry designer. She is a Tibetan Drup Shenpa, which means "healer" in the ancient Tibetan energy healing system of Tse Dup Yang Bod, and is 1 of only 50 Western practitioners of this healing in the U.S. She carries Tibetan and Peruvian lineage blessings and uses Reiki, Creative Visualization, Gemstones and Music in her work and is a Certified Clinical Hypnotherapist. She also offers Intuitive Readings and Healing Sessions! Twin Flame psychics from Louisville, KY. Cindy designs authentic crystal jewelry. Michael is a composer of New Age Music and is currently working on his 17th album. Hemp oil tinctures, herbal supplements and sacred geometry gifts. Grids, oil diffuser necklaces and scalar energy disks! Lots of great things for everyone! We craft unique treasures inspired by many wondrous things; from the tree of life to astrology. We have something for everyone. Stop by and check us out! Beautiful Henna Art temporary henna tattoo body art. Free hand art through henna (natural leaves with essential oils). Art is based on your spiritual energy. It reminds you of your gifts and stains your skin for up to two weeks. 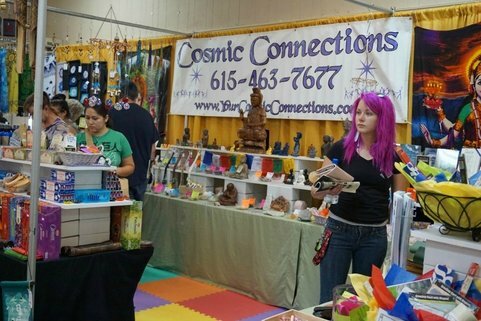 Raku pottery, gemstones, crystals, tarot, stickers, banners, stained glass, jewelry, novelty items and more! Hand-crafted unique jewelry, dream catchers and components (jewelry focal, sterling silver and antler products). Also, tumbled stones for bead embroidery, wire work, or to fill your medicine bag. Reiki Master; Sound Healer; BioAcoustic Practitioner; certified Tuning Fork practitioner. Come experience how Reiki & Sound affect the body to create self-healing for optimal health. We have singing bowls, tunings forks, drums & gongs. Robin is a regular instructor at Cosmic Connections here in Nashville. ​Sacred geometry jewelry made with minerals form the earth. We specialize in unique readings such as: Tea Leaf, Soul Color, Angel Communication and so much more! Also, offering Reiki/Crystal reading combinations. Reiki with sacred sound and incorporating sound into his healing. Neal combines specific frequencies that are heard and felt through a unique delivery system. The results are powerful and effective healing. Gallery quality prints, magnets, canvas, energetically enhanced jewelry and intention discs made from my original art. "Celebration of Love," oracle deck, and children’s books. 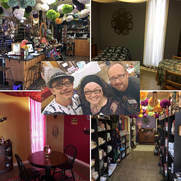 Visit Joy and Kiki for insightful, empowering, and innovative tarot and crystal readings. Browse crystals, crystal grid kits, jewelry, hand-crafted magical items, and Kiki’s books. 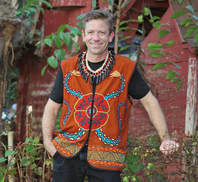 Jeff is a Shaman, Certified Practitioner of Reconnective Healing and The Reconnection, Reiki Master Teacher, Distance Healer, Tarot Specialist and Life Coach. 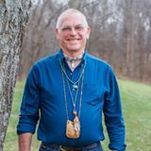 During healing sessions, Jeff synergistically employs ancient spiritual energy practices, quantum physics and sacred contentedness to effect profound psychic, physical, mental, emotional and trans-dimensional healing. 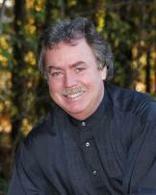 Jeff has also distinguished himself by reading and teaching Tarot for clients internationally! He utilizes tarot cards to tap into the spiritual realm and to bring forth messages, predictions and guidance for his clients. Quantum Touch is an energy healing modality that assists in the healing of the body, mind and soul. We offer sessions, related books and CD's. Energetic spinal alignment. Relax and rejuvenate today. We hand craft magic wands from all sorts of crystals, sticks, stones, bones, shells, coral, fossils. Found objects, love, intention and awesome juju for meditation, Reiki, energy work, dream work, etc. A delicious health drink called, "Green Tea Hawaii." All organic, Non-Gmo, low in calories and sugars. Over 200 health benefits with 450mg antioxidants, therapeutic. Jane & Bonnie love delivering spirit messages. We take our readings seriously while adding a touch of humor. You will appreciate our honor, integrity and years of experience. They provide information for you to live your highest and best life. Questions welcome! New surprises from Tucson! Crystals, metaphysical stones, healing and grounding tools, minerals, spheres, rings, bracelets, jewelry, gifts, rough, tumbled and therapy stones. My booth is devoted to answering questions about the modality of Ortho-Bionomy , as well as, offering hands on work of varying lengths for $1/minute. Registered Practitioner. In stillness; everything is connected. Offering Reiki, Lemurian Light, Light Language/Drumming, Crystals (seed & high energy), Gemstone Water Vials, Native California White Sage, Grid Cloth/sets and much more. Over 50 years experience. Born with a gift from the Saginaw Chippewa Tribe. 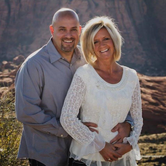 Has worked with three police departments and currently heard on 20 different radio stations. Returning again to Nashville! Top quality Aura photos along with detailed readings. Over 20 years experience. See us for a detailed explanation of your aura to learn what the colors, placement, and chakra energy activity reveals about you. ​Revitalize and upgrade the energy of your space with a double dose of healing power from nature and the earth. Beautiful violets, lush ferns, exotic air plants and more - all with beautiful crystals. Energize, amplify, expand and empower your Life at Healing-with-Heart. Are you ready to Move UP on "Your Empowered Path?" Get an energy "upgrade" from Lucy ~ Spiritual Healing Coach. ​Smudging, ceremonial fans, wire wrapped jewelry and so much more! This is a booth to visit! Renee focuses on the physical, mental, emotional, environmental, and spirit causes of disease and discomfort. She will be offering 20 min/$20 treatments focused on stress and anxiety relief. Reader, healer, teacher. Spiritual counselor, psychic, medium, channeler. Medical Intuitive. Shaman. Minister. Hypnotist. Natural and organic skin care products. Organic products for the entire family. YEs, this includes your 4-legged family as well! Therapeutic clay products from a secret, rare vein of magnesium bentonite clay used as a mystical healing agent by Choctaw Indians in Mississippi. Hidden for centuries, and recently rediscovered and now available. ​​NIKKEN provides idea-wellness solutions including: magnetic and far, infrared devices and accessories, support wraps and sleep systems, air and water purification and advanced nutritional technologies. ​Kevin "Chasing Wolf" Hutchins is a self-taught visionary and spiritual artist. His paintings are inspired by dreams, visions, the spirit-world and Native American teachings. ​Better vibes for better living with beautiful quartz crystal singing bowls and other vibrational healing resources. Raise your vibration, clear and enhance your surroundings, promote calm, balance and cellular re-tuning for deep healing. Discover your life design and boy energy expansion map (BEEM) through scientifically proven methods. We are certified Life-force Energy Healers, trained under Master Healer & Teacher, Deborah King from Hay House. We have studied for many years to gain sensitivity for our gifts and abilities that come naturally. We offer: Toltec Energy Healing, Soul Card Readings, Chakra Revitalization, Energy Retrieval, Crystal Healing, Automatic Writing, Pet Communication/Healing, Life-force & Violet Ray Healing. ​Healing the body through communication with spirit using The Body Code, Access Bars, and Dowsing. We will address: Health, Relationships, Behavior and Abundance issues. We can do on people and animals. Supernatural selection of crystals in a variety of tumbled and raw specially selected with a variety of herbs for smudging, pendulums and mats for dowsing; jewelry of natural crystals that make perfect gifts for yourself or loved ones. Past Life Regression meditation with questions and discussion afterwards. This will be a guided meditation taking people back to childhood, then to a past life, returning to present moments. Selling CD's with long version of guided meditation and heart chakra meditation. Aura Experience gives you a full color photo of your Aura and Chakras with an intuitive reading. Pretty Rox are healing gemstone Art to Wear that enhances your Chakras and energy field. Pranic Healing® is a highly evolved and tested system of energy medicine developed by Grand Master Choa Kok Sui that utilizes prana to balance, harmonize and transform the body’s physical, mental and emotional bodies. with Ramona Reid, LMT, Yvonne Constancio, L.Ac. East Nashville Holistic Health Center specializing in massage, acupuncture, EFT/tapping, Intuitive Enneagram coaching and a large network of Alternative Therapy providers; educational presentations and classes.